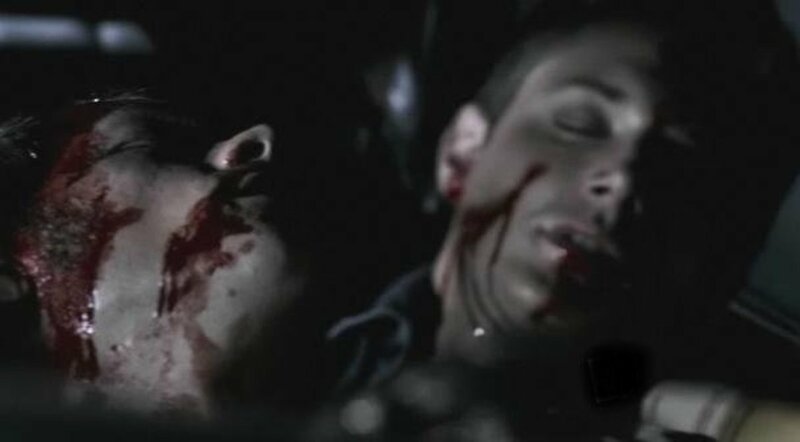 Supernatural is a show that focuses on the love and bond of two brothers who fight the evils of the supernatural world. It also focuses on the bond of family, whether it be by blood or by families made up of close friends. Dean, Sam, Castiel, Bobby, and other characters share a family type closeness and love. 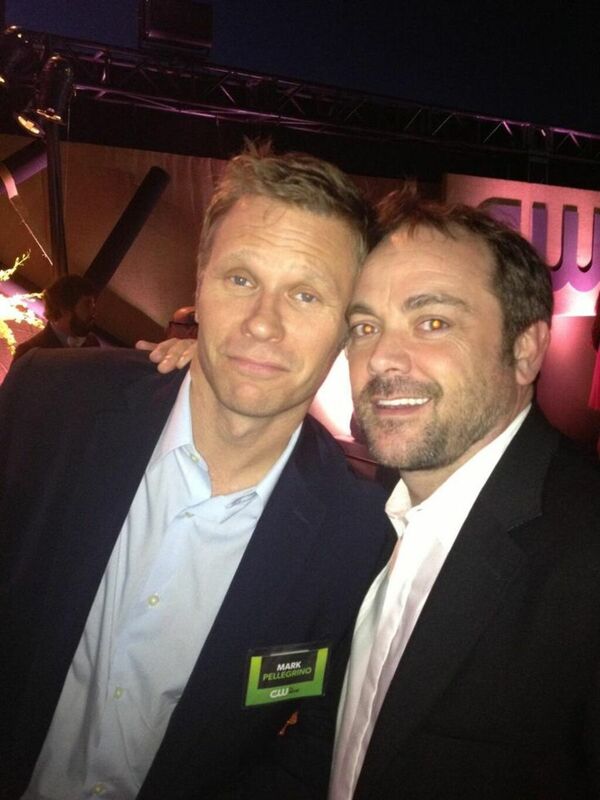 What is great about Supernatural is that the actors who play the characters in the show also share a close bond. The actors are all a family and when you see them out in public together it is easy to witness how much chemistry they all have. Even the actors who play evil characters, like Crowly and Lucifer, share a family bond with all of the other the actors including those who play the good guys. I decided to make this list to share some of the behind the scenes moments these actors share where you can see them having a great time together. It is because of their chemistry that Supernatural is a great show. Seeing the videos in this list made me appreciate Supernatural even more and made me fall in love with all of the actors who perform in the show. I hope you enjoy! For those of you unfamiliar with the cast names from Supernatural I will list them above. I've only listed the characters featured in this article. If you are a fan of Supernatural then you know that Castiel and Crowley are enemies and would never hang out together and have a good time. In real life though the actors who play these two characters are good friends and you can sometimes see a glimpse of how they are good buddies at Supernatural conventions. On the right is a short clip showing these two laughing hysterically during a Supernatural convention where they are answering fan questions. The story behind the laughter is that a woman in the audience asked Mischa Collins (Castiel) and Mark Sheppard (Crowley) something about what musical they'd be in. This led to a hilarious conversation where the audience member said she hated the Spiderman movies but loved Spiderman the musical. Misha and Mark cracked up laughing from their conversation. Seeing someone who plays a character like Crowley, laughing and joking is a truly unique moment. If you want to see the extended version click here. The whole conversation starts at 27:13 minutes into the panel. 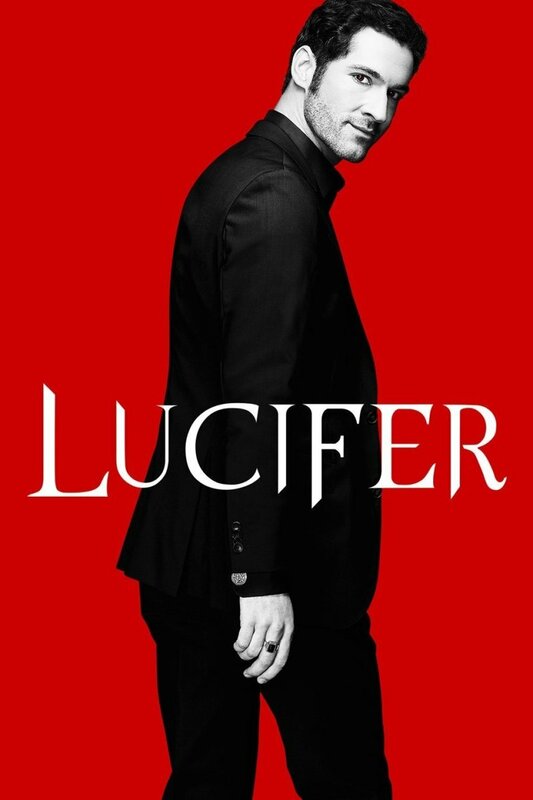 In the show Lucifer, aka the Devil, is a very evil fallen archangel who tries to bring about the apocalypse. In season 5, Lucifer inhabits the body of a man named Nick who is played by Mark Pelegrino. On the show Lucifer and Castiel are enemies. Castiel tries to stop him from starting the Apocalypse and gets killed by Lucifer temporarily until he is resurrected. In real life the actors behind these characters are also good friends. Mark Pelegrino loves to cut up and joke around. To the right is a clip from a panel interview where Mark and Misha joke around with a girl who is a student from Belgium. All she wants to do is ask them a question but they start asking her about her grades. They jokingly won't let her ask her question until they hear about her schoolwork. It is a great moment seeing these two actors have fun when they play enemies on the show. It's also shows how great of an actor Mark is because he is nothing like the Devil he plays on the show. In real life the actors who play Sam, Dean, and Castiel love to play pranks on one another while filming episodes of Supernatural. On one occasion at a Supernatural Convention, Jared Padalecki (Sam) told a story about the time Misha played a prank on him and how he got revenge. Apparently Misha won a game of "Words With Friends" he played with Jared and they bet money on it. Jared won $1,890. He didn't expect Misha to pay him but continually teased him about winning. Misha got back at him though by paying him the entire amount in coins and dumped them in Jared's trailer on set. To get rid of some of the money, Jared decided to get revenge for the coin prank and donated the coins to a charity Misha helps run called Random Acts by dumping $600 in coins into the seat of Misha's car. Check out Jared telling this story in this video to the right. 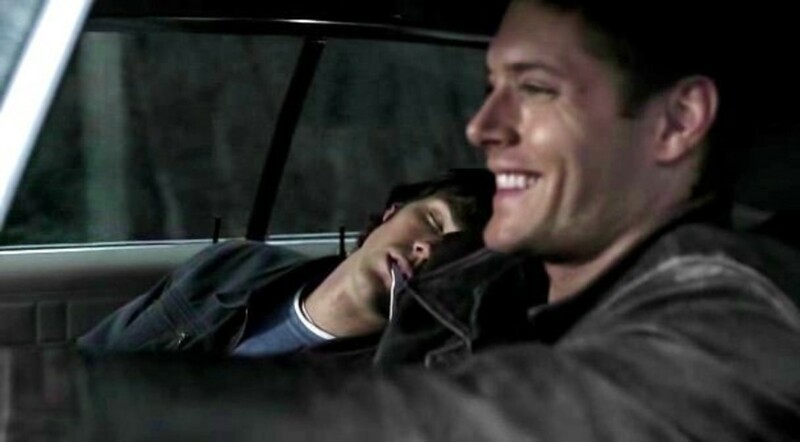 As mentioned in #3 Jared Padalecki (Sam) loves pulling pranks on Misha (Castiel). One one occasion Jared decided to put leftover chunks of fish from his lunch in Misha's car under the seats. Misha's car was very smelly by the time he found the fish and at first blamed his kids for it. After a while he realized it was Jared. The two friends had a good laugh about it. See them tell the story to the right. Dean (Jensen Ackles) also loves to pick on poor Castiel (Misha Collins). At one convention Jensen and Misha were given a rabbit puppet as a gift and they played with it on stage. Misha gave the rabbit an alien sounding voice trying to get Jensen to crack up laughing. Afterwards Misha opened a gift of some toy airplanes which inspired Jensen to tell an embarrassing story about Misha. In the story, Jensen and Jared (Sam) had been teasing and pranking Misha all day while filming an episode of Supernatural. They teased him so much that Misha had a horrible day and became very frustrated. When he tried to get revenge by throwing a paper airplane at the two while they were filming a scene, he epically failed and ended up throwing the plane straight down on the floor instead of at Jared and Jensen. It's a hilarious story and you can hear it in the video to the right. When Misha was a young man he got in trouble with the law a few times. He once got arrested for reading a book on top of a bank and was mistaken for a bank robber. As a child, he and his younger brother also spent a night in jail with their mother when she was arrested after getting pulled over for driving without headlights. At a convention Misha shared how his mom got pulled over and before the cop came up to the car his mom stuffed a bag of pot down her youngest sons pants. Misha's poor 5 year old brother had to hide pot in his underwear all night while they were locked up in jail. See Misha tell this story to the right. 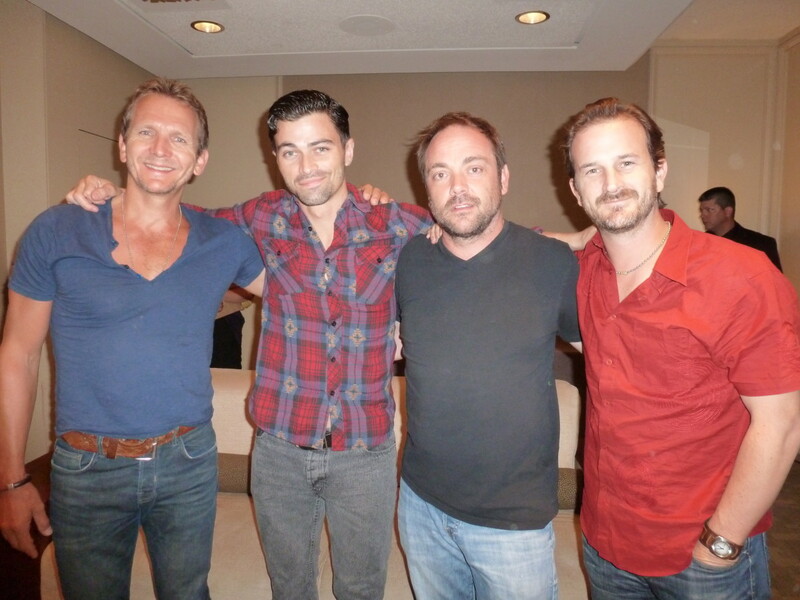 I bet one of the last things you ever thought you'd see was Balthazar and Gabriel, two angels, along with Ash from season 2, and young John Winchester singing Karaoke together. At many Supernatural Conventions, fans of the show get to hang out and sing Karaoke with a variety of actors from Supernatural. On one night Balthazar, Gabriel, Ash, and young John decided to enjoy some Grease and sang Summer Lovin from the hit musical with some female fans. Balthazar particularly was having a great time. Lucifer has also been known to make an appearance or two at karaoke night! If you ever wanted to see Lucifer sing Sweet Transvestite from The Rocky Horror Picture Show then you might wan to check out the second video on the right. I guess the bad boys of the show just really like singing the soundtracks to musicals. 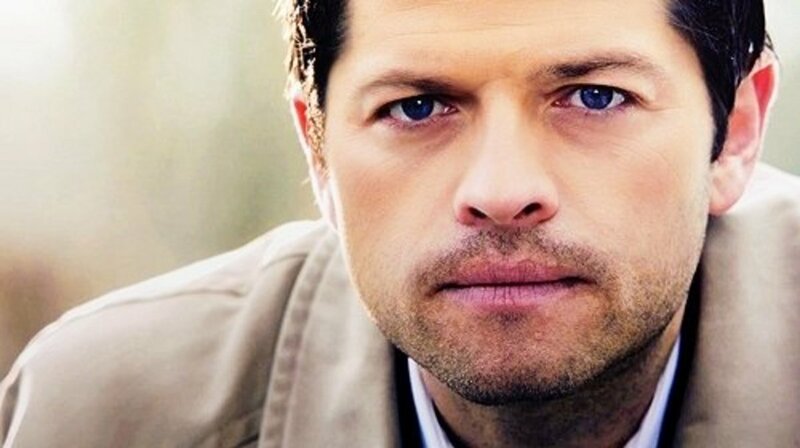 When Misha was starting out in acting he may have embellished a bit on his resume to get acting jobs. From Appalachian clogging to Tibetan Throat Singing, Misha listed some rather unusual and funny skills on his early resume. A Supernatural fan found a copy of it and brought it to a Supernatural Convention for Misha to see. Jensen got a hold of it though and had a great time teasing Misha for his special skills. It was a hilarious moment because Jensen had so much fun making fun of Misha for listing such silly things on his resume (bicycle touring, motorcycle license, horseback riding, and more). See this video to the right. At one Supernatural Convention Misha decided to crash a panel with Jared and Jensen speaking. Misha pretended to be a fan and disguised his voice to sound Indian. He then asked Jared and Jensen what working with Misha made them learn the most and hate the most about themselves. At first the two thought it was another fan asking a funny question but they joked and said the show got worse with Misha. When they discovered it was Misha in disguise they all had a great laugh. While saying goodbye to Misha, Jared discovered the projector screen behind them that displayed them to the audience had a time lag so that their actions in real life were a second ahead of their actions on the screen. This led to the boys playing around with the screen doing funny actions. During a panel interview Misha showed up with a pig named Icarus. 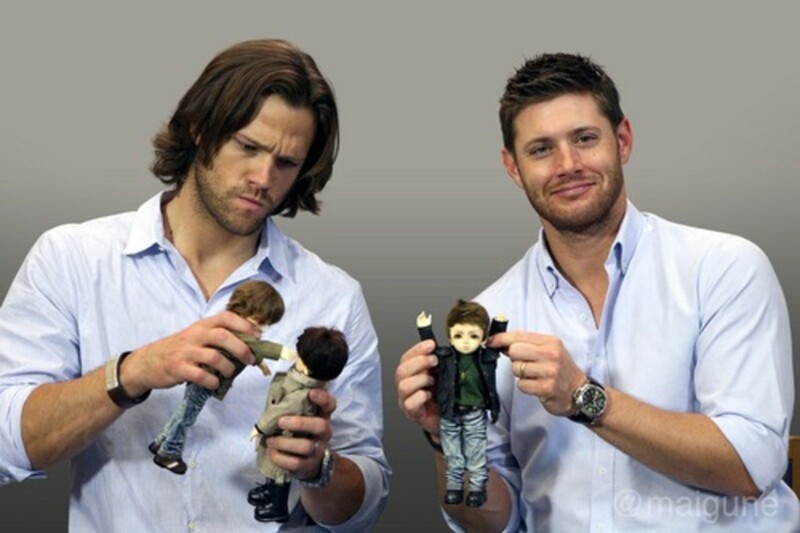 Jared made Jensen hold it. If you want to see Dean Winchester holding a pig then check this video out because it is awesome. If you saw the episode "Mystery Spot," Jensen does a great reference from that episode. If you love Bobby from Supernatural this is a great book written from his perspective. 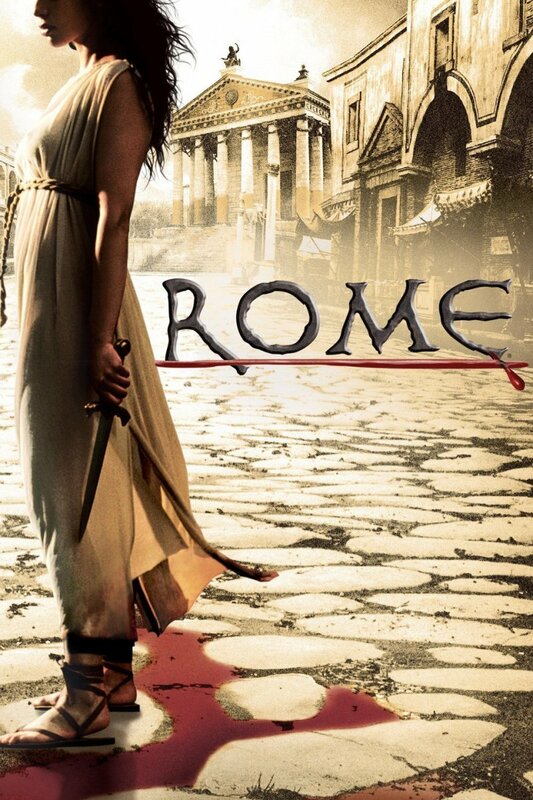 It is really entertaining and an awesome look into the supernatural world. If you ever wanted to read John Winchester's Journal then now you can own your own copy. This is a really fun book and I highly recommend it for the Supernatural fan. peachpurple I'm not sure. I'm only familiar with the U.S. Youtube has short clips from the show but there is always a chance someone put a few full episodes on there. I don't know if you have Netflix but it has every episode on it. If you google "watch Supernatural full episodes" then that might also lead you to some sites where you can watch. i have never seen this in asia channels. Can I watch on youtube? My husband got me hooked on this show, and I have seen every episode. The last season finale was EPIC! Yes, the French Mistake that would be it. 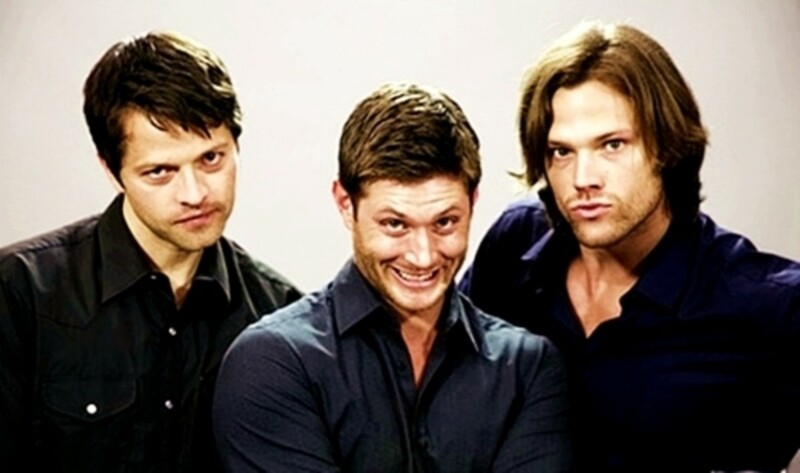 Oh my gosh the look on their faces when Sam and Dean are acting in front of the camera. Hahaha. Muhammad Ali7 Thank you! I'm glad you enjoyed it. I have other Supernatural things planned so I will keep it up! Its phenomenal to watch Supernatural stuff. I thoroughly enjoyed it! Keep it up. My all time favorite is Mystery Spot. That one is hilarious. I also enjoyed the episode when Sam and Dean met Carver and discovered the Supernatural Book series he wrote and the other where they go to a Supernatural convention he is having. It really is such a great show. I'm glad to meet another fan of the series! I haven't met anyone who didn't say that their favorite episode was either The French Mistake or Yellow Fever. There are too many episodes for me to decide on one favorite, but Yellow Fever and The French Mistake are definitely some of my favorites! msdielise Maybe the French Mistake? Where they are sent to an alternate universe where they pretend to be actors? I love that episode. I love it when the have lighter, funnier episodes. 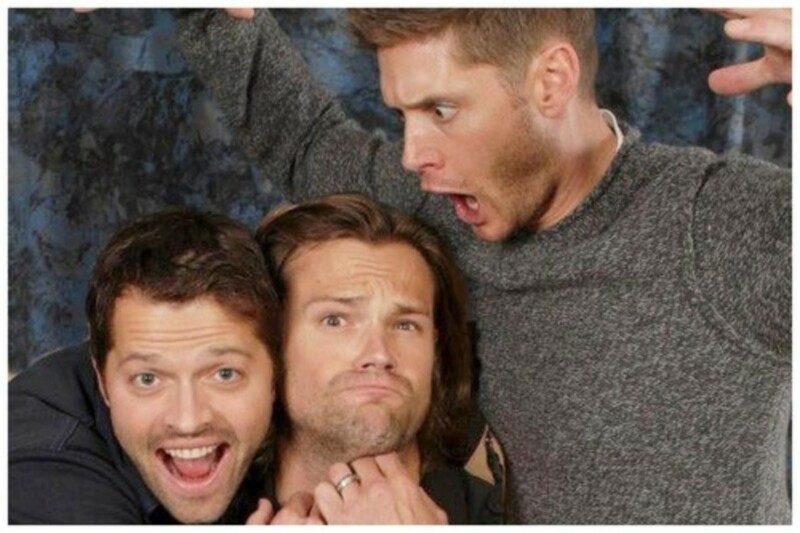 I love Supernatural! The best episode for me is the "The French (Something)"
Thanks Brooke18! I'm glad you enjoyed it. I love the convention moments too! Some of the stuff they do and stories they tell are so amazing. I'm glad I could share some videos you hadn't seen! Oh my goodness! I am so glad you created this! I love Supernatural and their convention moments! I actually hadn't seen a bunch of those videos! I love the bloopers too! Great job!